The suburban backyard is an American original—an invention so familiar it hardly seems invented at all. 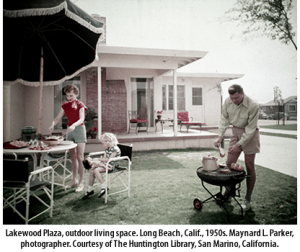 This exciting traveling exhibit explores the mid-century backyard from the rise of the suburbs and tract houses, to the beauty of postwar garden design, and the birth of the environmental movement. Filled with vintage photographs, historic drawings, and fun period advertisements, the exhibition reveals how these spaces became such an integral part of American popular culture. Presented by the Smithsonian Institution Traveling Exhibition Service and the Smithsonian Garden’s Archive of American Gardens. 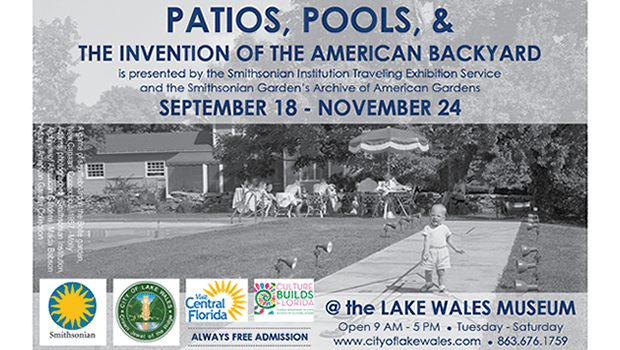 Patios, Pools, & the Invention of the American Backyard: A Historical Exhibit, runs from September 14-November 24.